Published in 2004 by World Publications Group Dighton, MA. 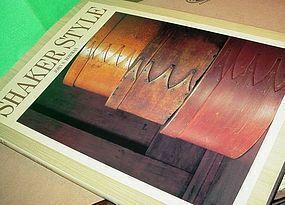 An oversized coffee table book that gives a nice history along with large colored photos. The jacket shows modest wear on the edges otherwise the book is in pristine condition. 112 pgs. Appendix lists Shaker communities.